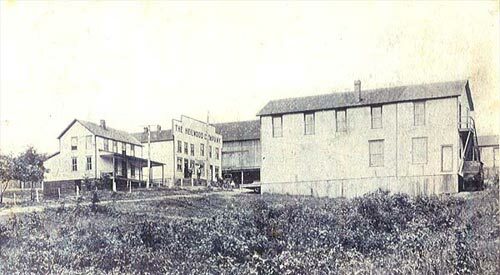 The original Heilwood Company store (second from left) with the store manager’s home below, livery stable above, and the meat market across the street. Another view of the original Heilwood Company store and post office, with the store manager’s home directly below, circa 1906. 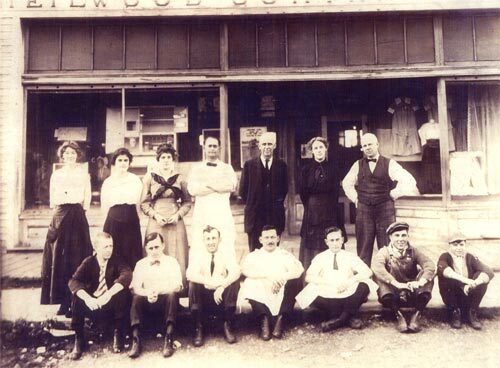 Circa 1916, the original Heilwood Company store was converted to a restaurant and boarding house. A new porch and roof were added to the front. 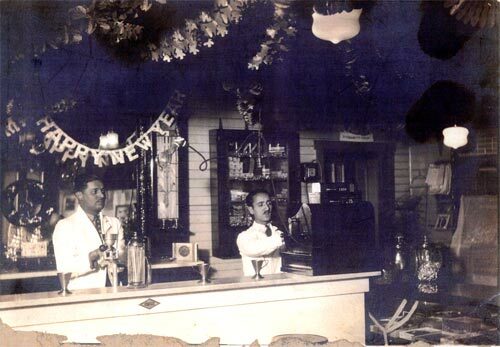 Heilwood’s “modern soda fountain” installed in the converted company store/restaurant (circa 1922). 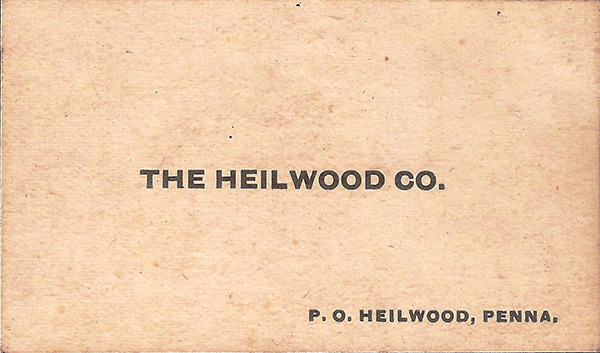 The Heilwood Company store was a product of necessity. Being a rural, isolated area, the newly created town needed a central place to purchase the basic necessities of daily living. Pennsylvania state law required that mining companies and company stores be incorporated separately. 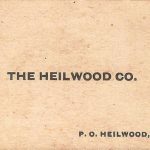 Therefore, the Heilwood Company was incorporated in October of 1904 for “the purpose of carrying on a general mercantile and merchandise business in the sale of dry goods, fabrics, clothing, boots, shoes, groceries, feed and provisions and other articles of domestic use.” In the eyes of the law, the store was a separate corporation – however, it was still deeply linked to its “parent” coal mining company. 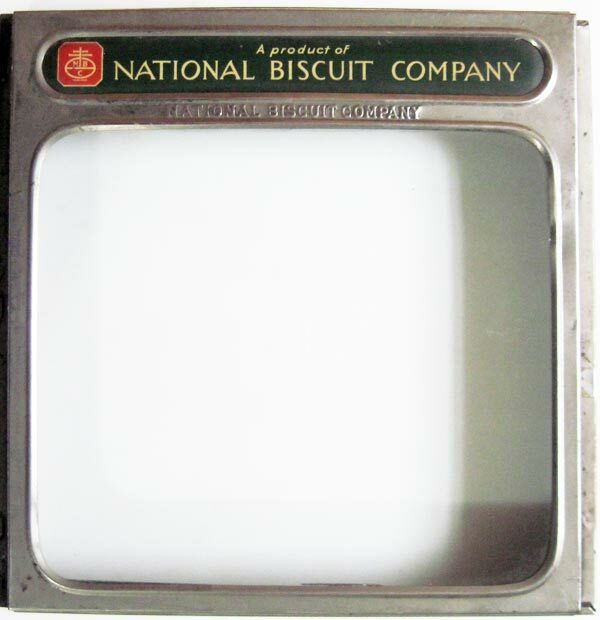 The new corporation was to transact its business in Heilwood, Indiana County, Pennsylvania, but its initial stockholders and board of directors were once again (as with the Heilwood Coal Company) all from Philadelphia. They were Andrew J. Rapp, Edmund Humphries, Stewart Frazer, James W. Birch, and James E. Wilkinson (who also served as the Treasurer). The amount of the capital stock of the corporation was also the same as the Heilwood Coal Company – $25,000. The corporation was enrolled in the Charter Book on November 15, 1904. By December 1904 construction for the new Heilwood Company store had begun. 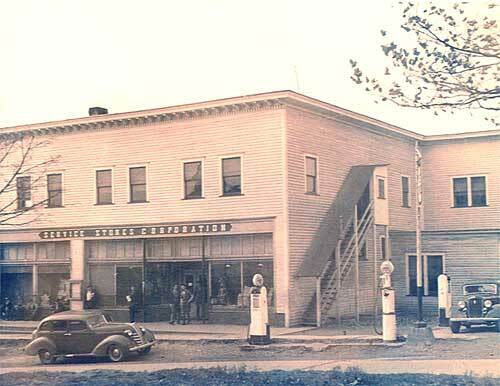 It would be a two-story, wooden frame building and included not only a general store, but also the town post office. The store manager’s house was constructed directly below the store (see photo). John McMurray Thompson, having sold his store in Decker’s Point and relocated to Heilwood, became the first store manager as well as the town’s first postmaster. 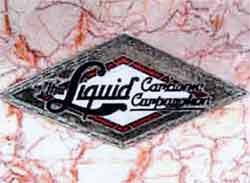 Logo of the Liquid Carbonic Company of Chicago, makers of the soda fountain. When J. H. Weaver divested himself of his Heilwood holdings in 1906, it became necessary for the new owners – the Penn Mary Coal Company – to sell the company store and store manager’s house back to the Heilwood Company. This transaction took place in 1907 at a cost of $300, and the store would remain in the same location until 1909. 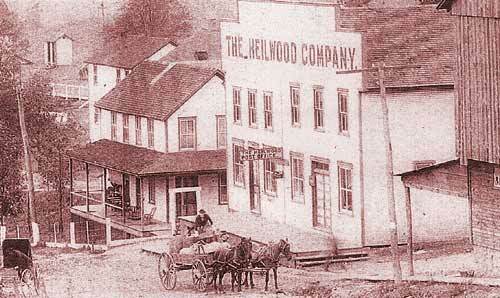 The original Heilwood Company store continued to serve the town as a restaurant and 12-room boarding house. Tax records indicate that Clyde Fulton operated it from about 1911 to 1917, and he was followed by John Griffith. Records later show that C.E. 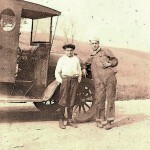 Liriner operated it in 1920 and Romeo Rossi operated it from about 1921 to 1924. According to The Indiana Evening Gazette, Rossi even installed “a modern soda fountain” (see photo). No other specific operators could be located. In 1935, the restaurant disappeared from the Pine Township/Heilwood tax records. The exact disposition of the building is not known at this time. The second Heilwood Company Store, opened in 1910. See more info about the “Buddy” billboard on the right side of the building below. 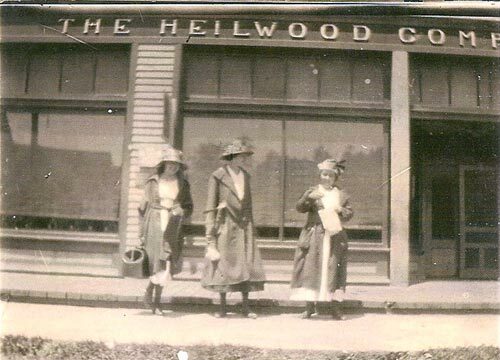 Three women standing outside the Heilwood Company Store, circa 1910. 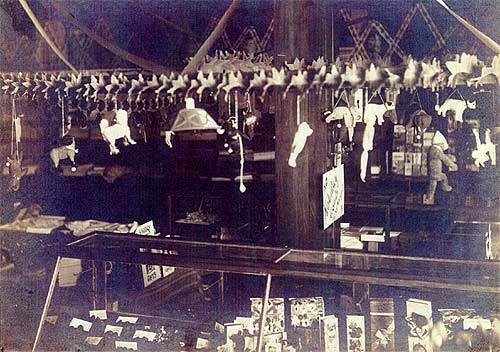 Inside the Heilwood Company Store at Christmas. 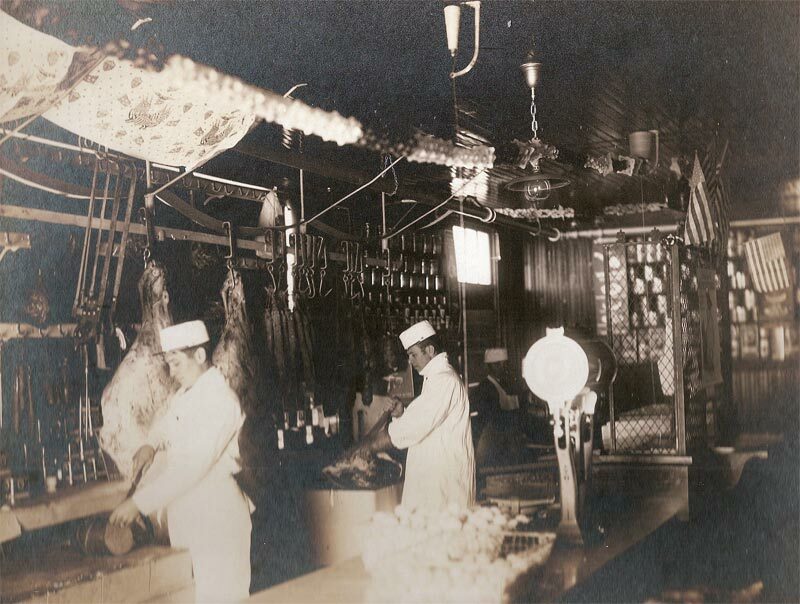 Inside the butcher shop of the Heilwood Company Store. 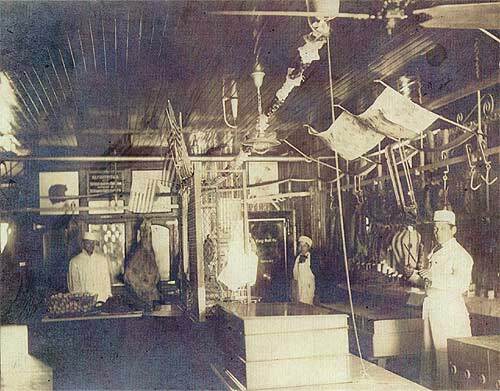 Another view inside the Company Store butcher shop. Service Stores Corporation Company Store, circa 1940. 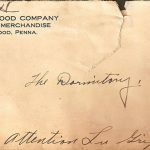 In November of 1909, the Penn Mary Coal Company and the Heilwood Company “exchanged” deeds of property. 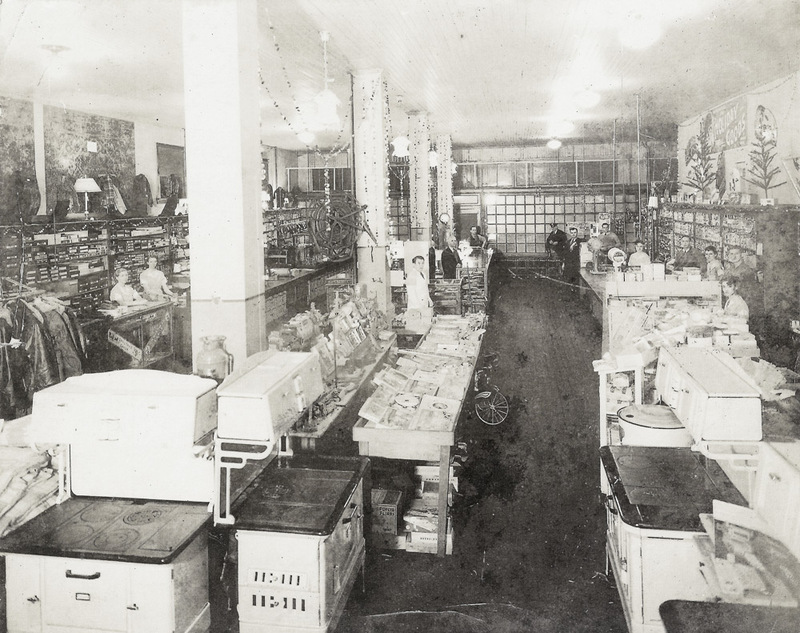 The Penn Mary Coal Company received the store and store manager’s home in exchange for a 150′ x 120′ piece of property, upon which they wanted to construct a new store with a modern meat market, as well as an attached post office (see photos). Jack London, formerly of the Hyde-Murphy Company of Ridgeway and now Superintendent of Building for the Penn Mary Coal Company, would supervise the construction. A two-story, 60′ x 90′, wooden frame building, more than double the size of the previous store, was built on the new lot. By the spring of 1910, the new store was ready to open for business. According to the May 11, 1910 issue of The Indiana Progress, the grand opening of the newly constructed company store attracted 2,500 to 3,000 people. Manager John McMurray Thompson and a corps of polite attendants showed the patrons the various departments of the store. The occasion was enlivened by the Russell Orchestra of Altoona, who provided music. Many of the leading wholesale houses such as L. H. Parke, John Wilde Evaporated Milk Company, and W. E. Johnston sent representatives as well as samples of their wares. 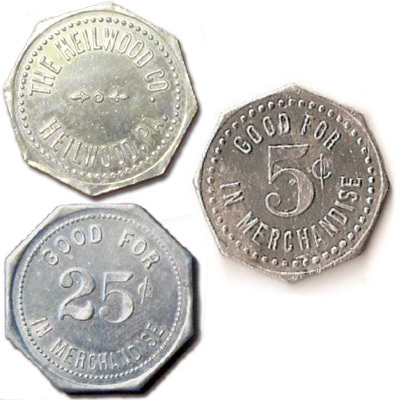 The Olive Stove Company of Rochester, Pennsylvania was said to have distributed over 500 caps to boys who visited the store during that day and evening. 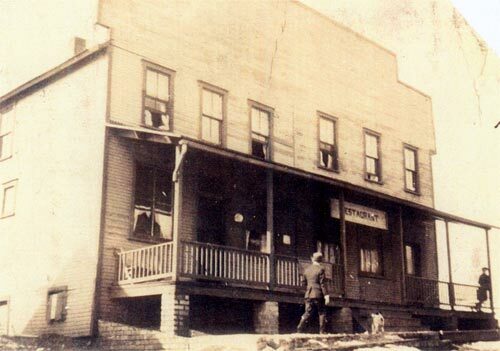 On June 7, 1911, a bolt of lightning struck the flag pole on top of the store and burned down into the second floor, igniting a barrel of packing straw. Three young boys, who happened to be in the store, extinguished the fire before any serious damage could be done. 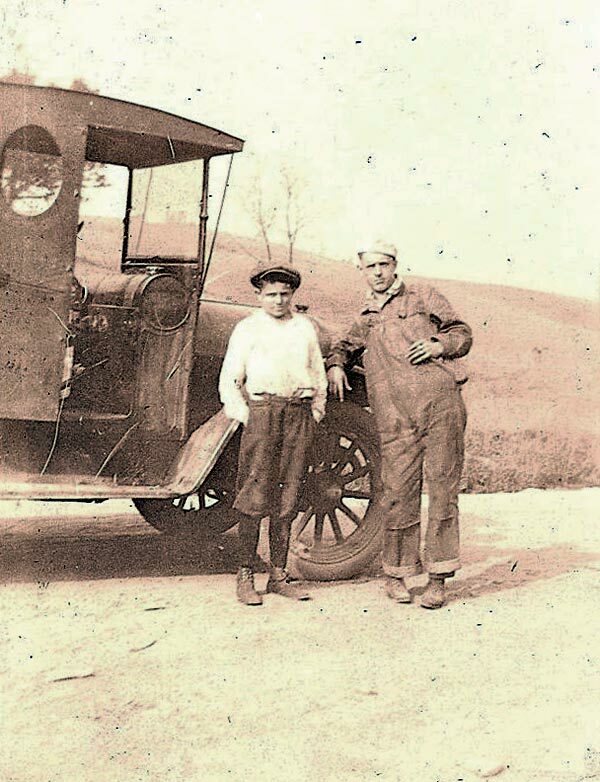 James Eck of Carrolltown was named the new manager and in 1915, had the first gas tank / gas pump installed in front of the company store. He maintained the position until 1916, when the mines and town were sold to the Bethlehem Steel Company of Johnstown. Once again, management personnel changes were made and J. R. Duncan became the new store manager, until 1933. It should be noted that on December 11, 1919, the corporate name of the Heilwood Company (chartered in October 1904) was officially changed to the Service Stores Corporation. 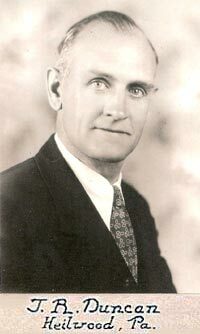 William McDowell replaced Duncan as manager from 1933-34, and he was followed by W. A. Dinsmore from 1934-1940. Dinsmore had previously served as the Assistant Store Manager from 1929-1933. With the 1940 leasing of the mines and town to the Redlands Coal Company (a subsidiary of the J. H. Weaver Company of Philadelphia), the management personnel and name of the store changed once again. The new name was the Revloc Supply Company (see last photo on this page), and the manager was James Buckshaw, who served until 1949, when yet another name/manager change was made. *No information has been located to indicate how long the store manager continued as Post Master. However, newspaper records indicate Post Master examinations for Heilwood were being given in March 1922, and the annual salary was $1,400. 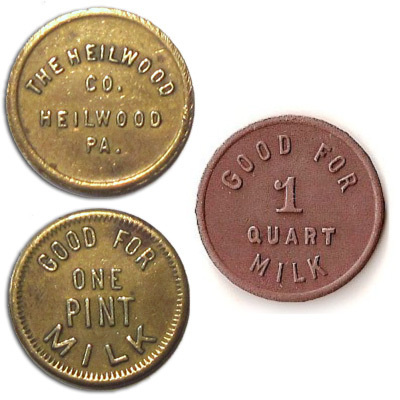 The Heilwood Company store was the social center of the community, a place where people could not only buy their everyday staples, but could also congregate in the evenings to discuss the day’s work or reminisce about the “old country.” Games such as “Morra” (the Italian finger game), poker, and pitching pennies were often part of an evening’s activities. Several years after opening, the upper floor of the store – accessible by an outside staircase (see photo at left) – was configured into “club rooms” that were primarily used by coal company management personnel for company dances and meetings. However, other social groups, like the Pine Tree Bridge Club, would also meet upstairs. A miner’s pay envelope, showing “the infamous snake” (no pay) at the end of two weeks in 1945. Being the only store in town initially, one might imagine the prices of the goods were inflated. This was probably true to some extent, but given the overhead costs – clerks, delivery people, office staff – the store manager had the task of showing a profit while maintaining a price level that wouldn’t drive the residents to seek outside merchants. A coal miner’s family could buy goods from the store “on the book” – this was an advance to the miner that would be deducted from his wages prior to receiving his pay every two weeks (coupon books and “company script” are two examples of how these advances worked – see photos). 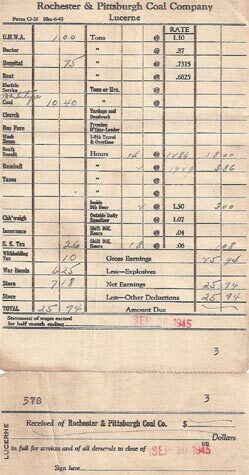 There was usually very little extra at paydays (see photo of actual pay envelope), so candy and ice cream for a miner’s children was typically out of the question. Sometimes payday would bring the “infamous snake” – when a miner’s expenditures exceeded his actual earnings for a two-week pay period (see pay envelope). Around 1905, some mining families that were dissatisfied with the Heilwood Company store started buying their goods from the newly opened independent stores south of town. 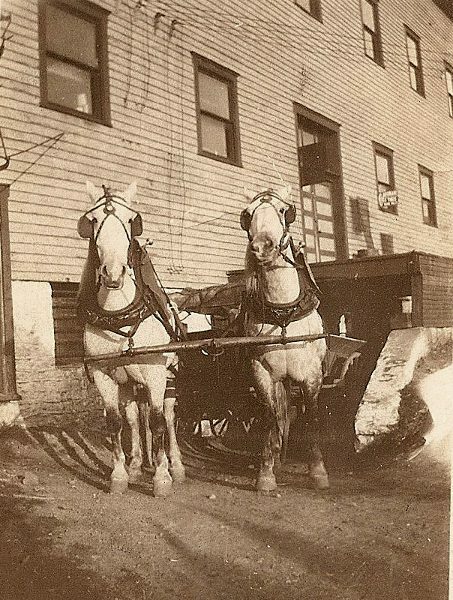 These independent stores were family-run businesses, where members of the family owned, operated, and delivered the goods to their customers. Prices were competitive, overhead was minimal, and the selection and quality of their goods offered were probably very basic and lacking compared to the Heilwood Company store. 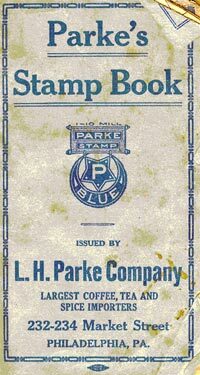 Cover of a Parke’s Stamp Book. Click to see a larger layout of additional items from the Parke’s Stamp program! 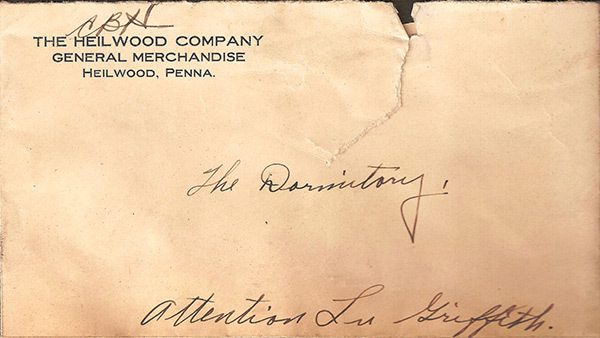 Sometime after the opening of the new company store in 1910, a “customer loyalty” program was instituted, featuring Parke’s trading stamps packaged within products purchased at the store. The Parke’s trading stamp program probably worked much like the popular S & H Green Stamp program: customers could collect stamps and place them into special booklets; when full, these booklets could be redeemed for merchandise from a catalog. The premium catalog was 15 pages of items ranging from jewelry and furniture to kitchen items and clothing. Customers could mail their completed booklets to the nearest store (Pittsburgh) and receive items by mail. Customers could also visit the redemption store in person and pick an item up. 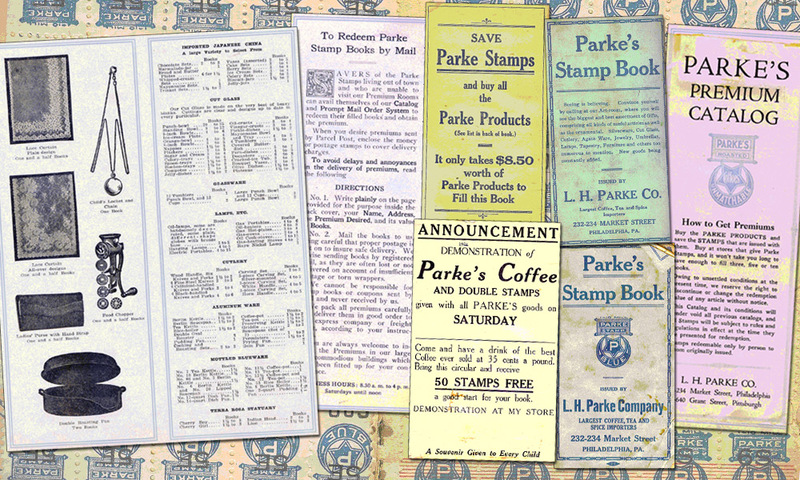 As an added bonus, stores handling Parke’s products sometimes doubled the amount of stamps customers received if they purchased particular products on special promotional days. The Parke’s program possibly continued until at least World War I, after which the majority of these types of stamp programs faded. 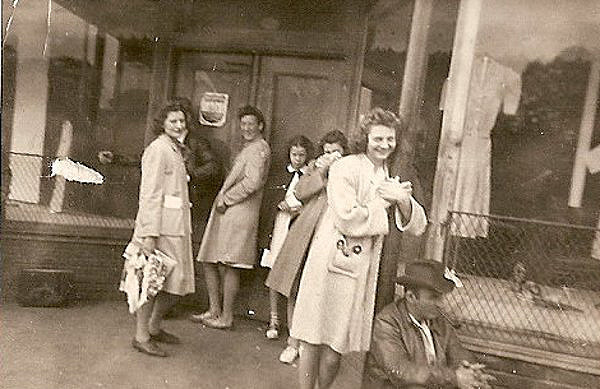 Sometime between closing time on Saturday, August 17, 1946 and early Sunday morning, a safe-cracking gang, believed to be the same one that had struck repeatedly around Central Pennsylvania, was foiled in an attempted robbery of the Revloc Supply Company Store in Heilwood. Police reported that the thieves used shaving cream to seal the cracks around the door and then dropped an explosive charge into the cracks through a funnel-like contraption. The resulting blast flopped when the charge failed to open the door, only damaging the first layer of the heavy vault door as well as the combination lock. The door and combination lock were damaged enough that the company officials had to open the vault with torches. Company officials told the State Police and County Detectives that the thieves would have had “very poor pickings” for their trouble, since there was not much money in the vault at the time. 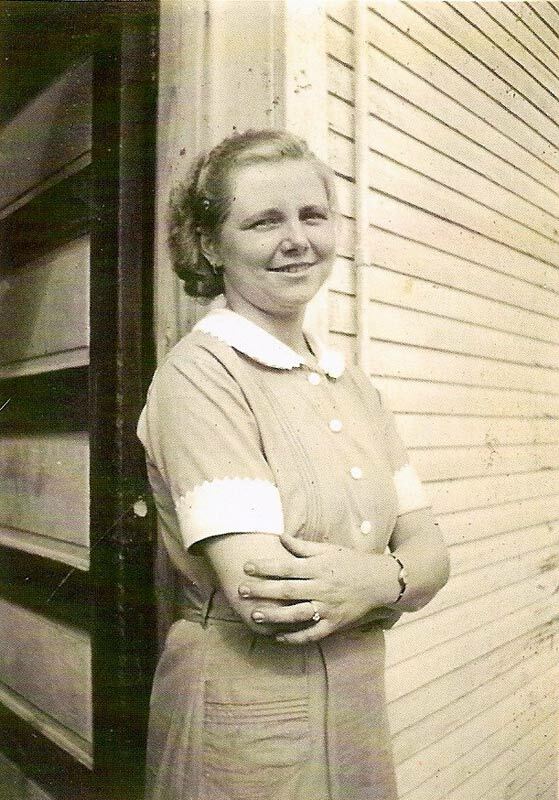 Another name / manager change was made on March 1, 1949, when articles of incorporation were filed by Harry and Elizabeth Radebach of Heilwood, along with Lido and Gracinta Giovacchini of Colver, for the Heilwood Store Company (see photo). Harry Radebach managed the store until March 1, 1952, at which time the Heilwood Store Company was dissolved. The last manager of the company store was Harry Owens, who operated it until June 1954, when the doors were closed for the final time. 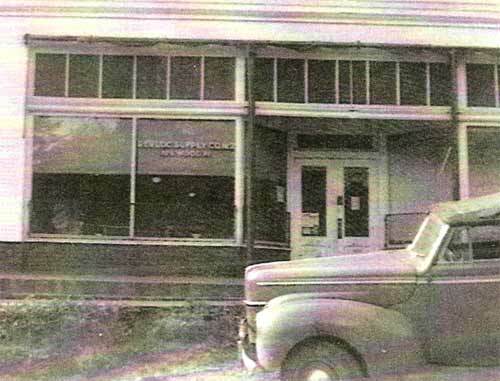 The company store had served the community for almost 50 years!